I Currently Outsource My Website, But I Want Inbound Marketing Content. What do I do? 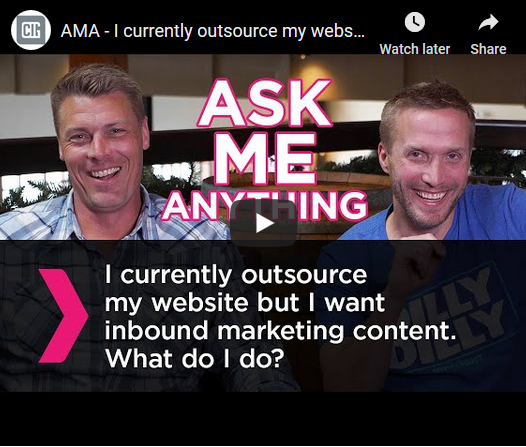 VIDEO | Industry Analysts, Inc.
On this week’s installment of our Ask Me Anything series, our experts explain how having too many people chime in about your website can actually be counterproductive to your marketing efforts. Trying to manage your website in-house can be overwhelming and you are more than likely to miss out on lead generating opportunities. Inbound marketing allows businesses to develop a sound marketing strategy with an industry-leading partner. It’s important to partner up with someone who has the industry experience and understands the overall direction of your business and who you want to engage with. Learn how outsourcing your marketing services can help take your business to the next level. This entry was posted in Clover and tagged AMA, Ask Me Anything, Clover, marketing content, outsource, Website by IA Staff. Bookmark the permalink.